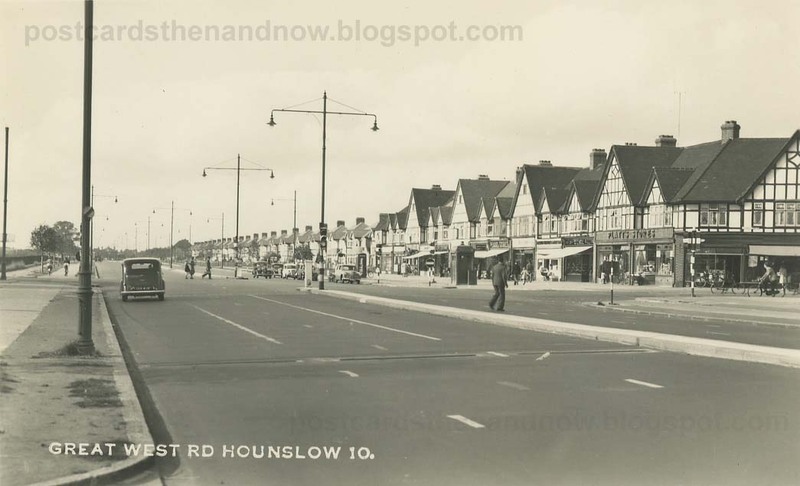 Hounslow, the Staines Road and the Great West Road. My mother was born just round the corner from the Duke of Wellington in 1916, so she'd probably have recognised the road as it was. Later her parent moved to Vicarage Farm Road which is the Cross Road shown in this image, and I remember it being like that.